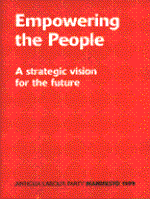 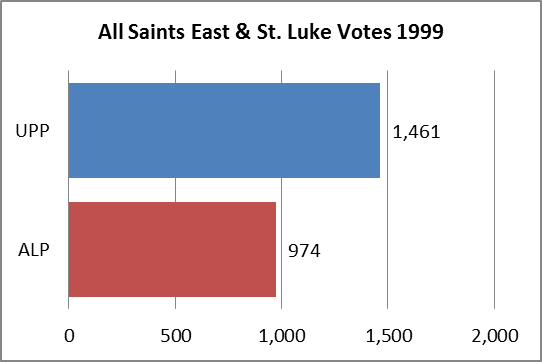 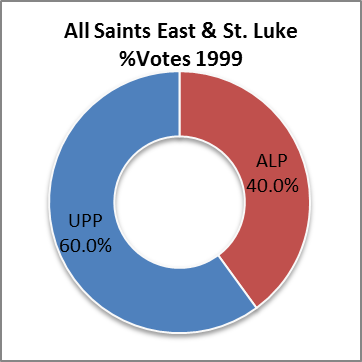 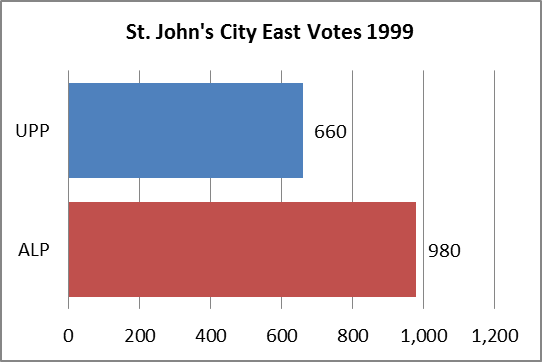 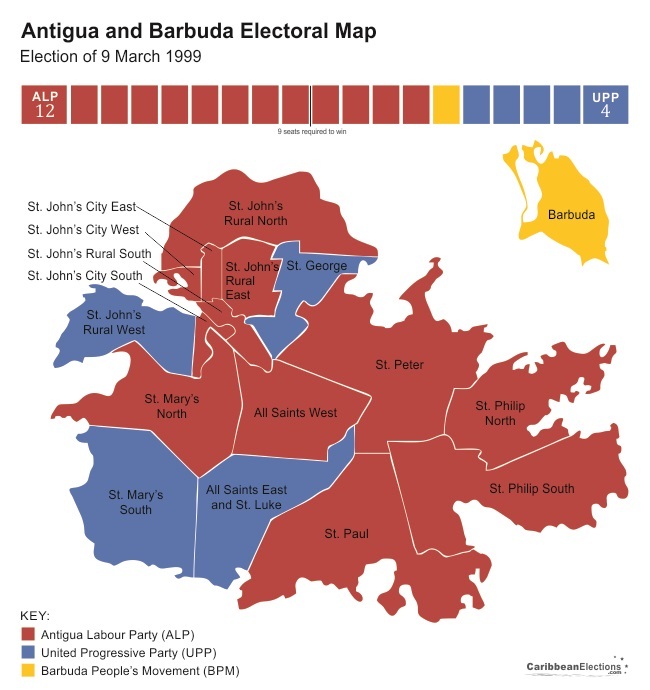 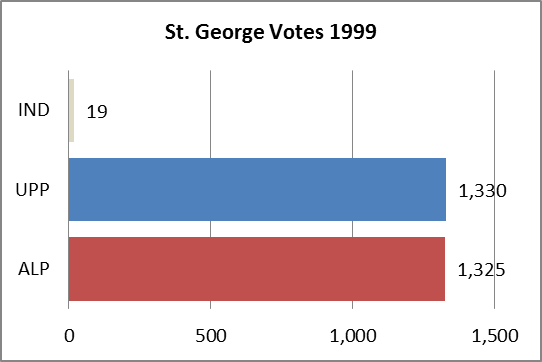 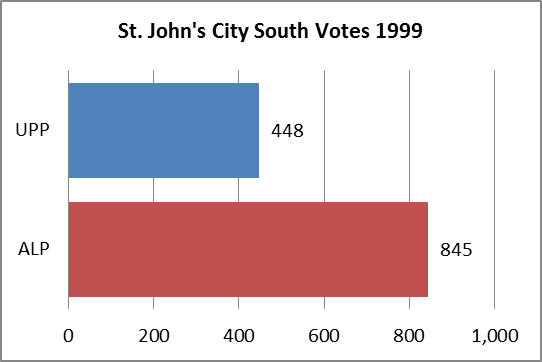 General elections were held in Antigua and Barbuda on 9 March 1999. 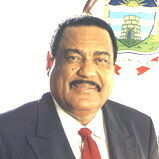 In accordance with the advice of the Honourable Prime Minister and Section 61 of the Constitution, His Excellency the Governor General dissolved Parliament on 19 February 1999. 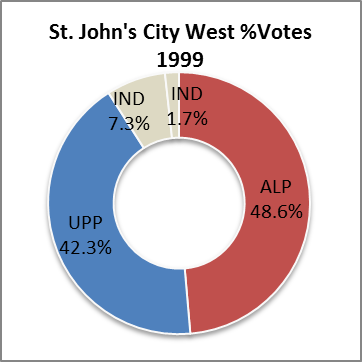 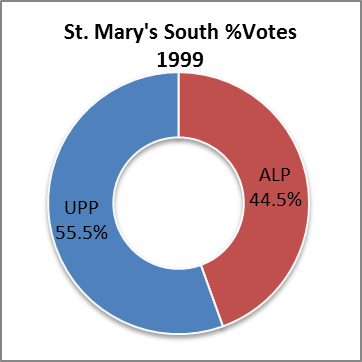 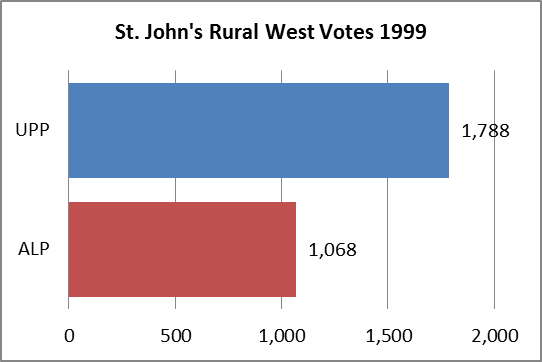 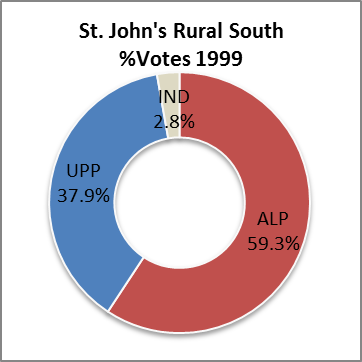 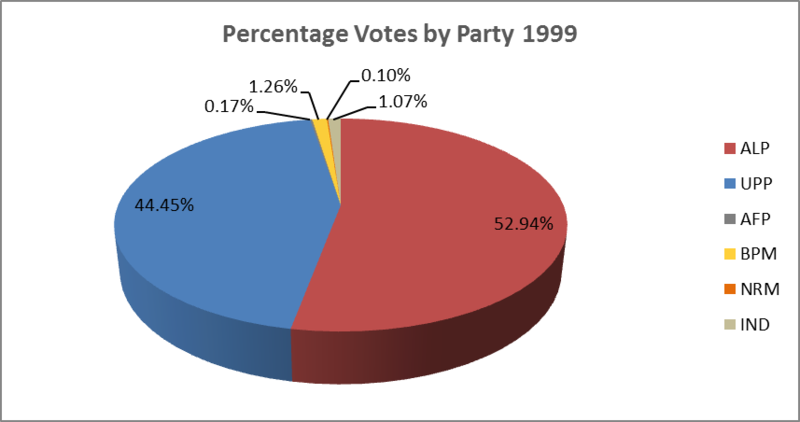 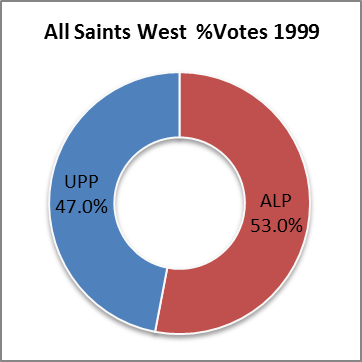 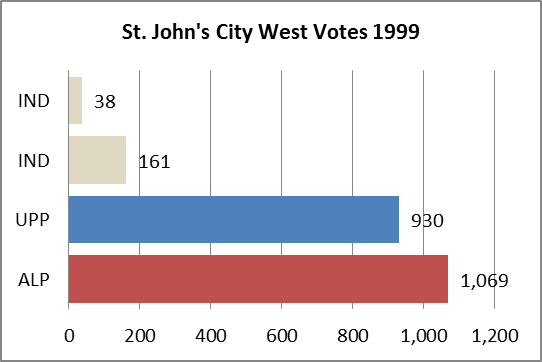 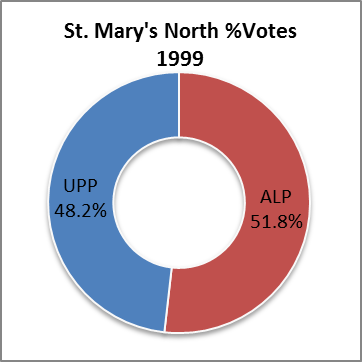 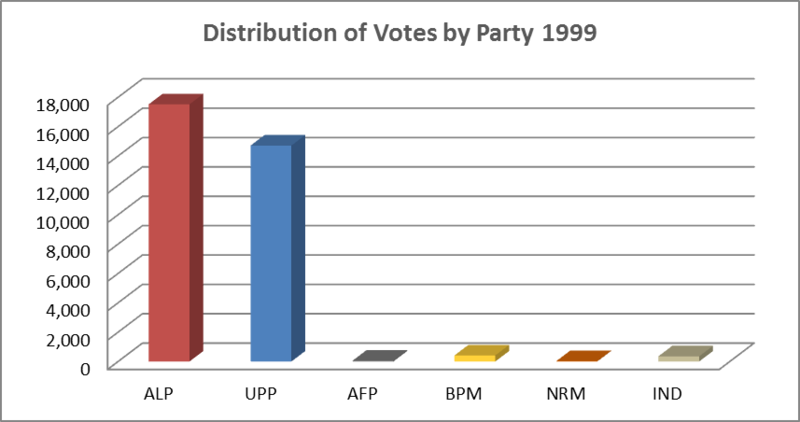 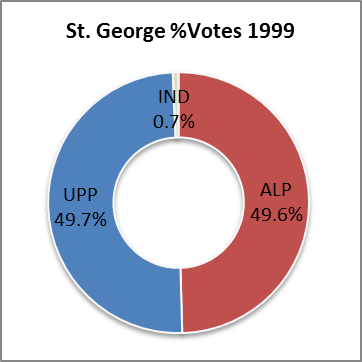 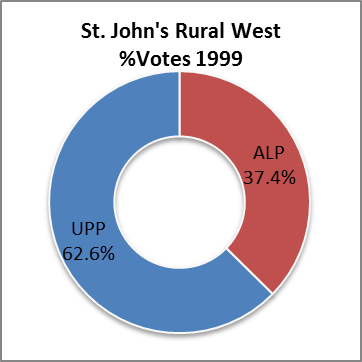 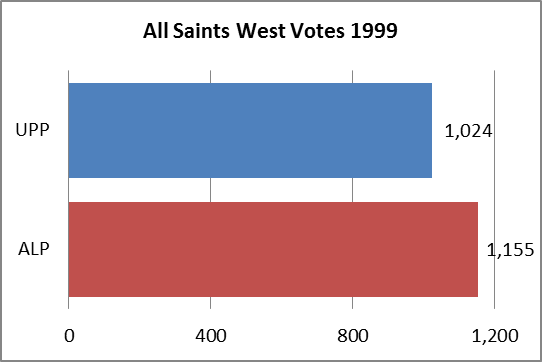 The Writs of Election fixed Friday, 26 February 1999 as the day for Nomination of Candidates and Tuesday 9 March 1999 as Polling Day. 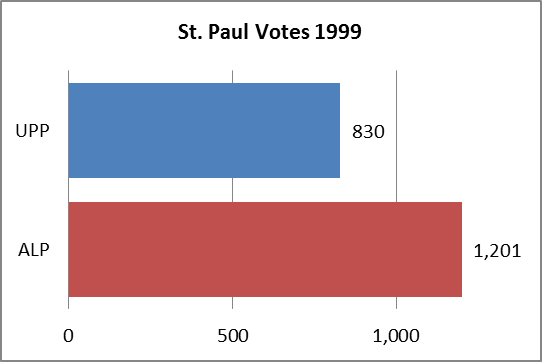 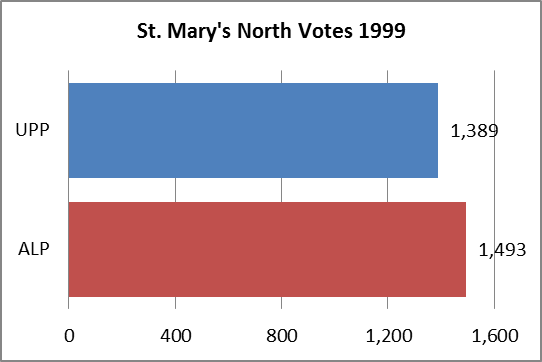 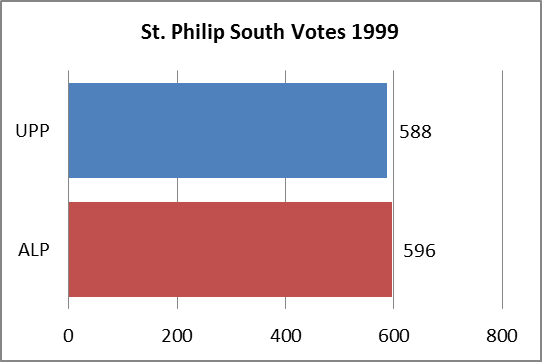 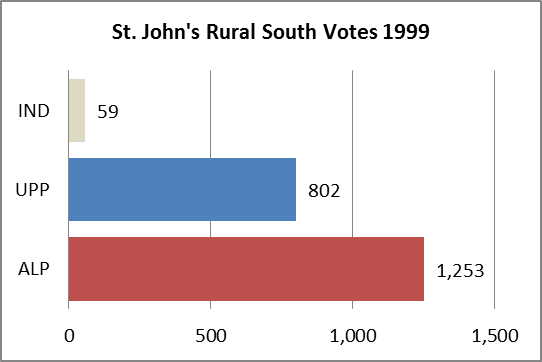 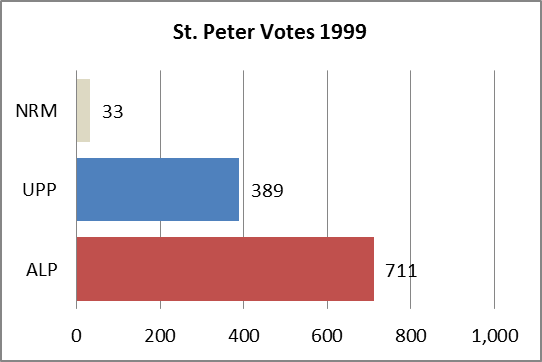 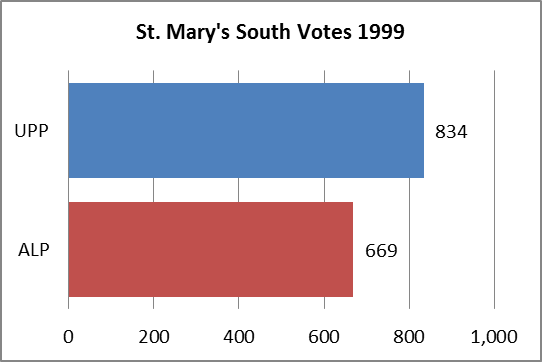 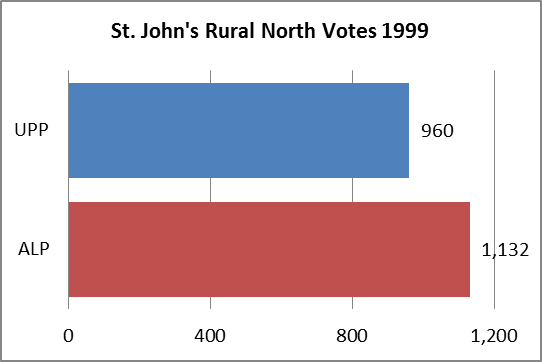 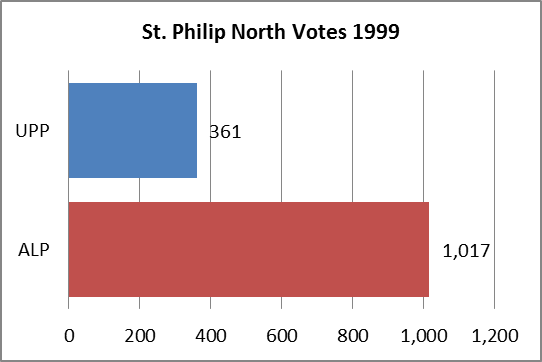 Boundaries in the 17 constituencies remained unchanged and were identical to those used in the 1994 General Elections. 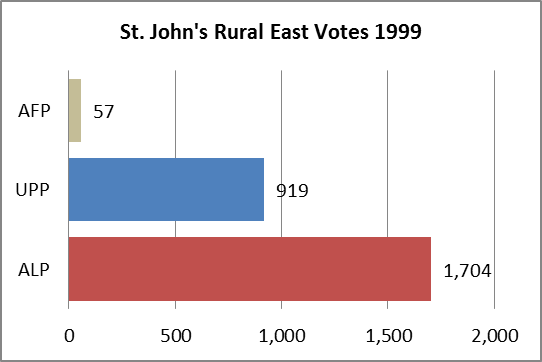 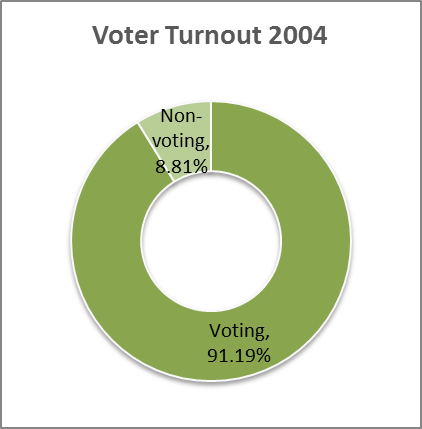 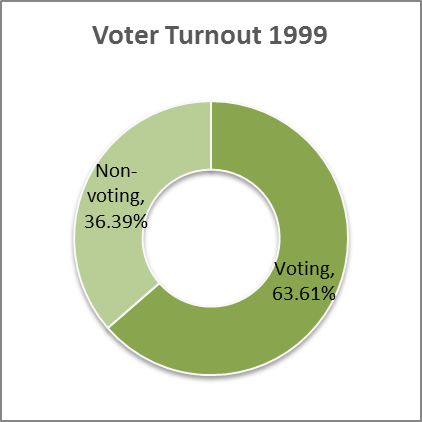 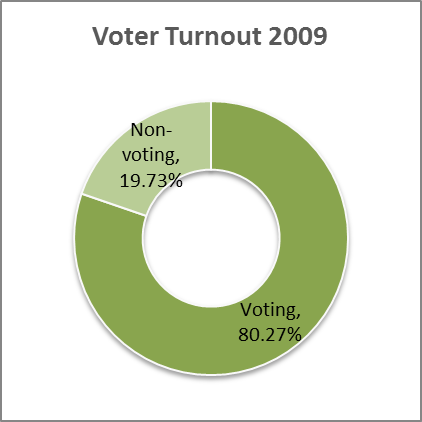 The 1998 Register of Elections indicated a total of 52,385 electors. 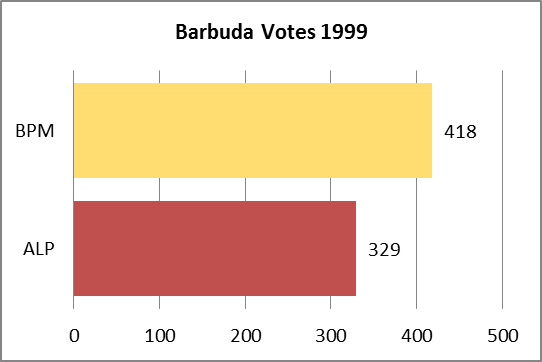 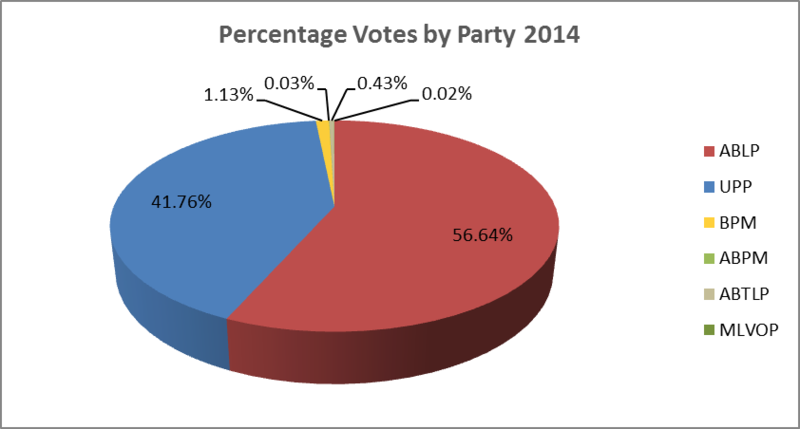 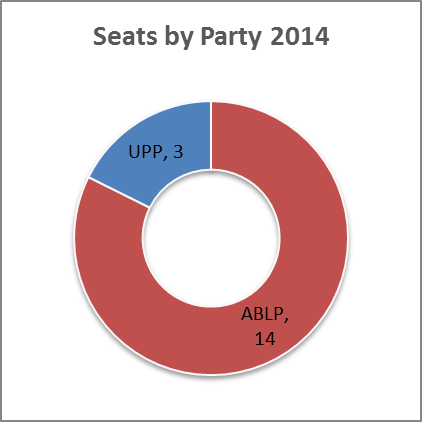 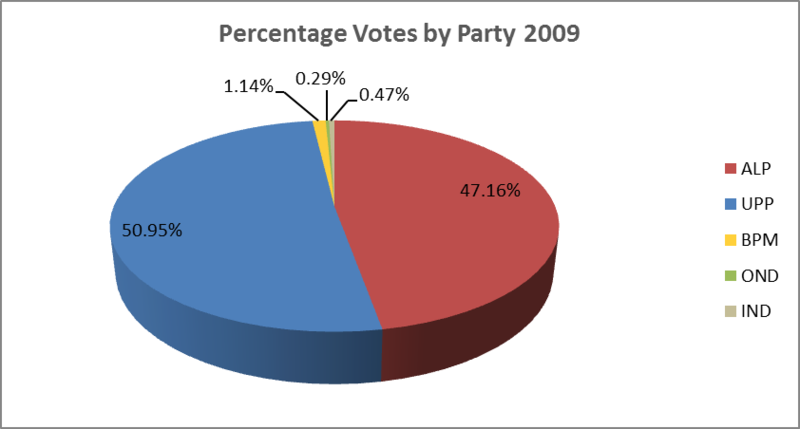 A total of 41 candidates were nominated to contest the General Elections in the 17 constituencies: Antigua Labour Party (ALP) – 17; United Progressive Party (UPP) – 16; Barbuda People's Movement (BPM) – 1; National Reform Movement (NRM) – 1; Antigua Freedom Party (AFP) – 1; Independents – 5. 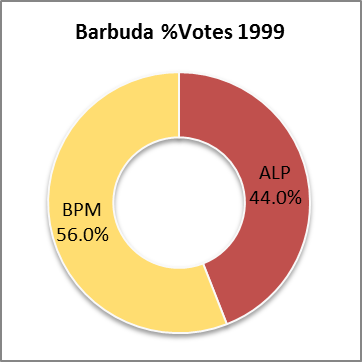 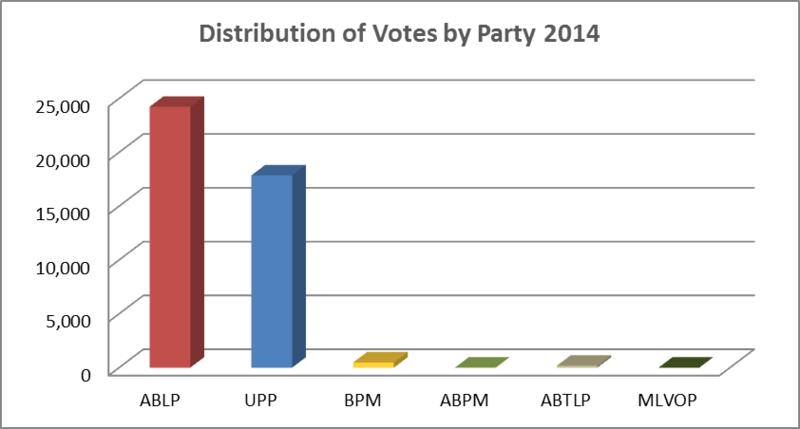 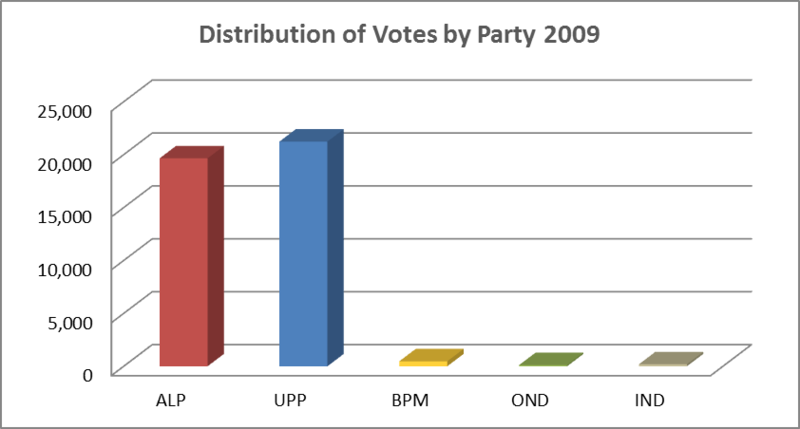 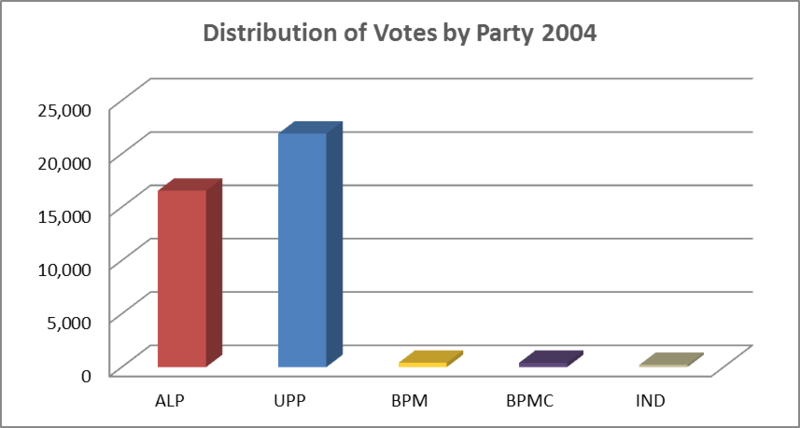 At the end of the count, the results were as follows: Antigua Labour Party (ALP) – 12; United Progressive Party (UPP) – 4; Barbuda People's Movement (BPM) – 1. 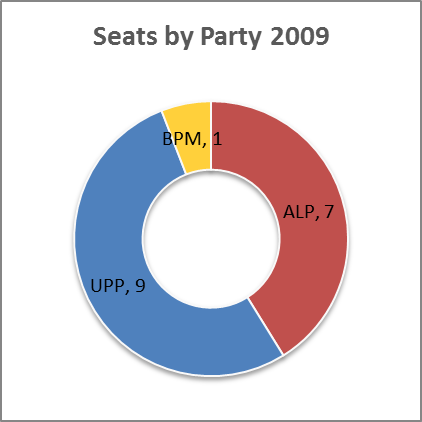 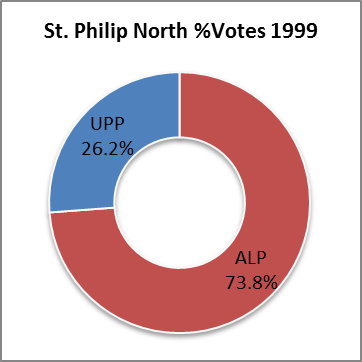 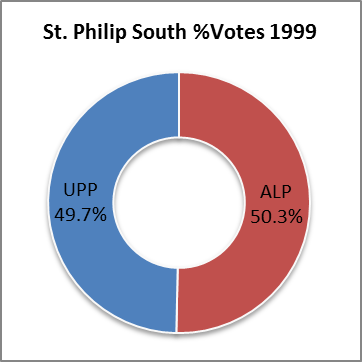 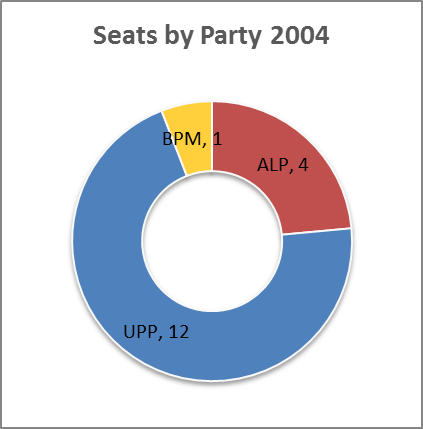 Having increased its parliamentary total by one seat to 12, the ALP was thus assured of a sixth consecutive term in power. 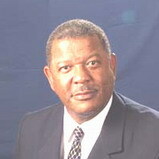 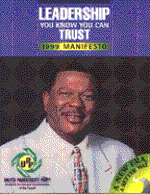 Mr. Lester Bird - who had succeeded his father Vere Bird as head of government in 1994 - continued as Prime Minister. 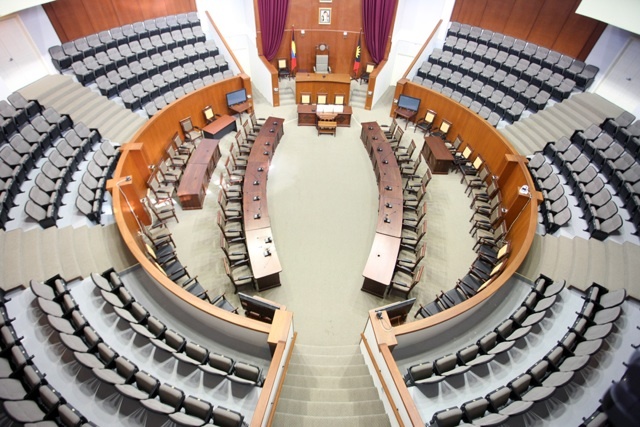 A new Cabinet was sworn in on 12 March.